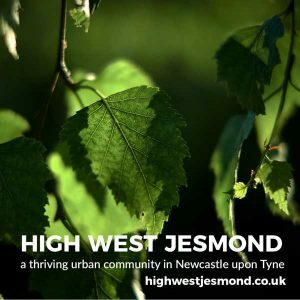 During the consultation period of proposed changes to streets in High West Jesmond as part of the Streets for People initiative HWJRA held a residents meeting on Monday 13 November 2017. The meeting was held at Jesmond Library and was well attended. HWJRA organised the event so that residents had the opportunity to find out more about the proposals for Moorfield and Ilford Road, ask questions and hear others views. Following the meeting HWJRA submitted the views from the residents to Streets for People so that these could be taken into account before the consultation period closes on 30 November 2017. A copy of the HWJRA submission is shown below. The Streets for People initiative want to hear from you and you can provide feedback via their website. You have until 30 November 2017 to submit your feedback. The S4P proposal was explained in detail and then the group were invited to discuss and express their views, looking at each of the main aspects of the proposal separately. All agreed that there was an issue of safety at this junction and welcomed the proposal to improve this. The group was split 1/3 in favour, 1/3 against, 1/3 not sure about the roundabout design. The group wasn’t against a roundabout “per-se” but was concerned about some of the details. Residents’ principal concern at this junction is pedestrian and cyclist safety – in particular it is difficult for pedestrians (particularly those with pushchairs or in wheelchairs) to cross over Ilford Road on the northern side of the junction. The previous redesign of Ilford Road has led to poor visibility on Ilford Road on the northern side of the junction as traffic heading north waits for traffic heading south in the approximate location of the proposed roundabout. This should be tackled as part of any redesign of the junction. – Getting cars to slow down in all 4 directions is felt to be a good approach. – Group would strongly support a raised platform at this junction (similar to the one at the junction of Moor Road South and the Grove). This could include a roundabout, but if it did then visibility and accessibility would need to be improved. – Double yellow lines should be added around all 4 corners of the junction as cars currently park too close to the junction. – A well located pedestrian crossing on the north side, going across Ilford Road, would be very beneficial for pedestrians and further slow traffic on Ilford Road. – Dropped kerbs should be added at crossing points (except where there is a raised platform). – Junction should be re-aligned east to west to improve safety. Group was 100% in favour of this, subject to the width and location of the crossing points coinciding with existing points and the materials used being sympathetic to the area. Also renew pavement on north Moorfield between Treherne Road and Great North Road (using same materials as above) as it is in a similarly poor condition and a large puddle now appears where the old pavement meets the new pavement at the west end of Moorfield. Residents strongly support reducing speeding traffic on Moorfield however they are strongly against doing this by narrowing the road. The visual amenity of a wide road is much appreciated by local residents and they would be very reluctant to see this changed. Residents on Ilford Road feel that this road has become more dangerous since it was narrowed. There has been no noticeable decrease in speeding traffic, a notable increase in damage to cars (clipped wing mirrors etc) and overall the road feels more dangerous. There was some concern that, particularly at night when there are less vehicles parked on Moorfield, it might look like a few cars have parked in the middle of the road and this could be disorientating and unsafe. Concerns were also raised (via letter to the meeting) that Moorfield would become more dangerous to cross for pedestrians including many dog walkers who use the Little Moor. Residents were very much in favour of using an alternative approach to reduce the problem of speeding on Moorfield. A number of ideas were suggested and the following received strong support (in order of popularity). The group was split 2/3 “against” and 1/3 “unsure” about a cycle path. Nobody was in favour. Residents (including a number of cyclists) feel that cycling is already safe on Moorfield because of its width, and that there are other areas of Jesmond/Newcastle where the addition of a cycle path would be far more beneficial. The cyclists in the group felt that they would be unlikely to use the cycle path as it was fairly narrow for two way cycle traffic and right next to parked cars. They would prefer to cycle on the wider roadway, particularly if speed of traffic is reduced. Cyclists who live on the side streets off Moorfield also said that they would not want to have to cross the road between parked cars to get to a cycle lane on the south side of the road. All felt that focus should be on reducing speed of traffic and improving the Ilford Road/Moorfield junction. Doing this would automatically improve safety for both cyclists and pedestrians. Remove the cycle lane from the proposal and focus on speed reduction and junction safety to enhance the cyclist and pedestrian experience. The group was opposed to this as it was not felt to be a dangerous junction and there would be a net loss of parking space if the proposal went ahead. That said, the group were concerned about the impact of dangerous and inconsiderate parking at all the junctions of Moorfield and its side streets (particularly where dropped kerbs are being blocked). Leave pavement at current width but introduce yellow lines on corners of Moorfield and its side streets to keep dropped kerbs fully accessible. The group was 100% in favour of this. Parked cars at this junction are making it dangerous for drivers, cyclists and pedestrians. Extend the proposed “no parking” area up to where Moorfield meets Lodore Road. The group was split 38% in favour, 50% against and 12% don’t know on this proposal (Moorfield residents were split 50%/50%). It was suggested that the impact of any changes at Blue House Roundabout would need to be factored in to any decision and that, during the construction phase of any project at BHR, a temporary closure might be appropriate. Opinion was split 47% in favour, 41% against, 12% don’t know on this issue. People on Ilford Road and Moorfield have been most directly impacted by the increase in “park and ride” that is clearly happening in the area and, as a consequence, are more likely to favour residents’ parking. It was agreed that this issue should be looked at once the Streets for People (and possibly Blue House Roundabout) projects have been completed. It was also suggested that Nexus should be encouraged to get the Regent Centre park and ride facility better used – possibly by bringing Regent Centre into Zone 1. Whilst the S4P project only directly impacts on Ilford Road at its junction with Moorfield, concern was expressed about this road and the continued high speed of traffic, damage to vehicles and difficulty at junctions – particularly at Lodore Road. he group was strongly opposed to this suggestion as they felt it would simply shift the problem of rat running elsewhere. It was agreed that a submission on behalf of residents would be made by HWJRA to the S4P group. You can read more of the background to the Streets for People initative on our Streets for People page. What changes would you make to Jesmond to encourage you to walk more, cycle more or let the kids play out? That’s what Newcastle City Council asked residents in three areas of the city – Jesmond; Arthur’s Hill & Fenham; and Ouseburn & Heaton as part of the Council’s process for determining how to spend £3m of Cycle City Ambition Fund money in these areas. 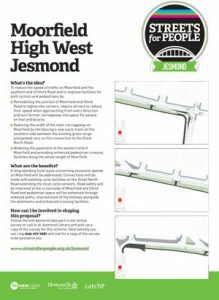 Included within the Jesmond proposals are plans for Moorfield & the junction with Ilford Road, High West Jesmond with a public consultation open until 30 November 2017. 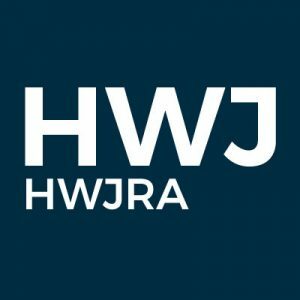 HWJRA (High West Jesmond Residents’ Association) would like to meet with local residents so that we can guage local opinion on the proposals and then submit a response on behalf of HWJRA. Come along to the residents meeting which will take place in the main room at Jesmond Library, St George’s Terrace, Jesmond, Newcastle upon Tyne, NE2 2DL on Monday 13 November 2017 at 18:30 where you can find out more and let us know your views. Hear Cllr Arlene Ainsley, Cabinet Member for Transport and Air Quality talk about Streets for People in a short video posted on to the Newcastle City Council Facebook page today. You can find out more about Streets for People in our previous news article on this website. 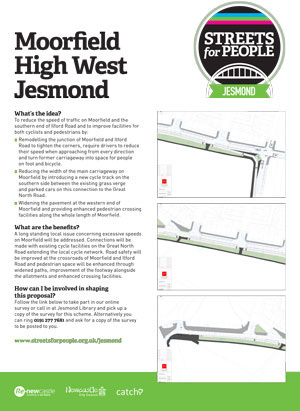 The council have today opened consultation on a series of proposals to make changes to streets in the Jesmond and High West Jesmond area as part of the Streets for People initiative. The proposals are aimed at improving provision for pedestrians and cyclists throughout the area. One of the proposals involves redesigning the junction of Ilford Road and Moorfield as well as adding a cycle lane, relaying pathway and narrowing the main carriageway on Moorfield. 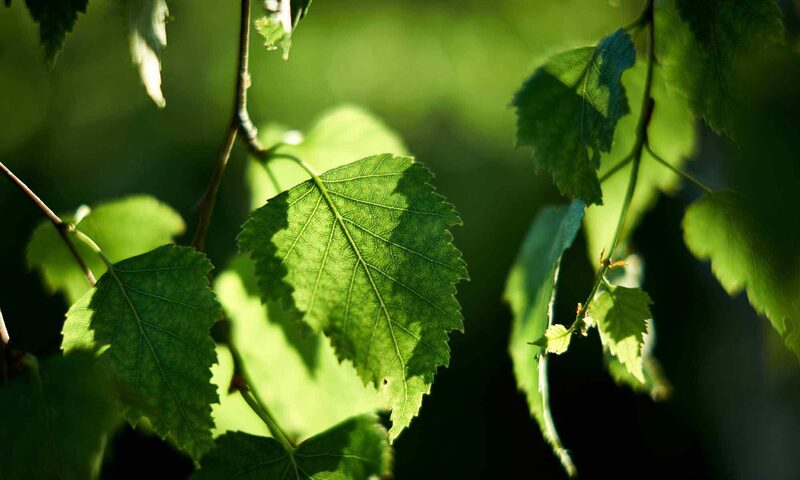 The proposed changes would have a significant impact on Moorfield so HWJRA would strongly encourage all local residents – and particularly those who live on or close to Moorfield – to take a close look at the plans and to participate in the consultation programme that the council has opened up. 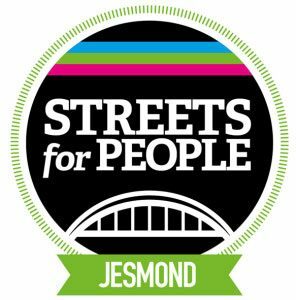 You can feed back your thoughts on the proposal anytime up until 30 November 2017 via the Streets for People website or by completing a questionnaire at Jesmond Library. We plan to arrange a meeting for local residents so that the Residents Association can gauge local opinion on this proposal and submit our own response to the council which would be in addition to responses from individual residents. Detailed drawings for the three different sections of Moorfield that would be changed can be downloaded by clicking on the links below. And you can read more information on the Streets for People website.